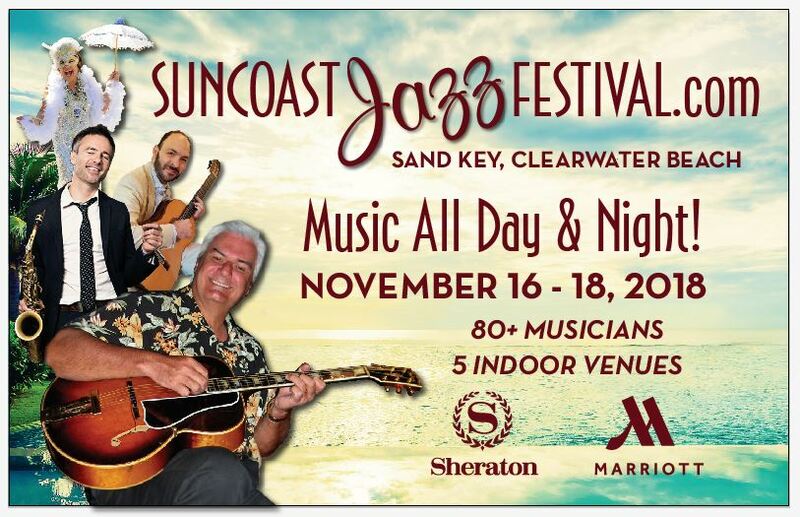 The Suncoast Jazz Classic is a community partner with the Peace concert series. For several years they have helped us book jazz bands for our series. Concert/attendees at our November 11 program will be offered discounted tickets to the classic on Clearwater Beach November 16-18, 2018.